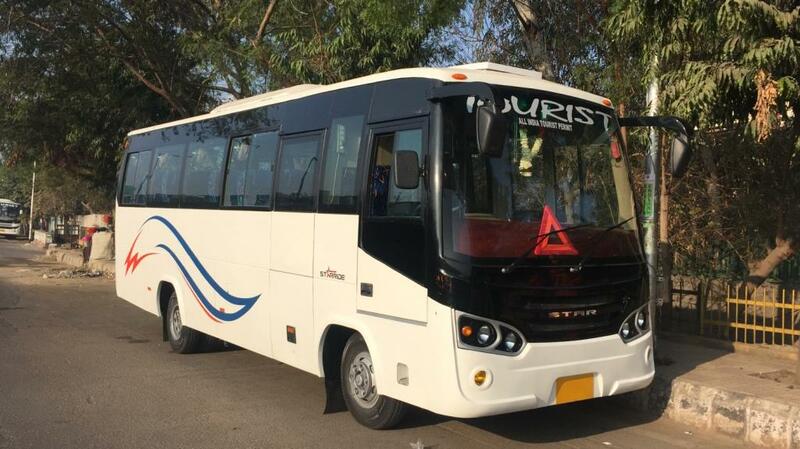 Ant Travels provides 21 seater Luxury buses for hire on rental Services in Delhi ncr for local and outstation tour. We are Ant Travels offering 21 seats mini buses at very affordable cost with modern comfort interior. If you want to travel with a large group, family, student holiday tour it is the ideal choice for you to choose the 21 seater luxury buses. This will allow you to interact with the collective passengers or friends traveling with you on the journey. We offer 21 seater luxury mini bus for agra, manali, jaipur, haridwar, rishikesh, Jammu, rajasthan, shimla, jim corbett tour at very low cost. If you are planning for rent a mini bus, for more information on the travel services call @ 91-9811992203.